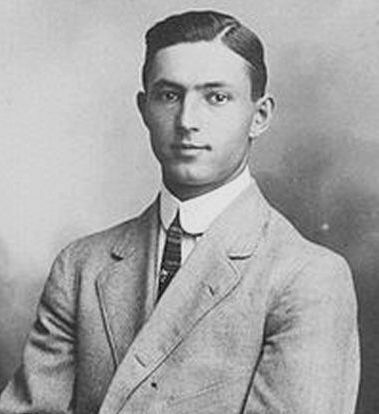 Walter Richard Brookins (11 July 1889 - 29 April 1953) was the first pilot trained by the Wright brothers for their exhibition team. Walter was taught at school by Katharine Wright, sister of the Wright brothers and that led to his interest in flying. He was one of the elite group whom the Wrights had trained to be exhibition fliers and had the distinction of being the first to whom Orville gave lessons. 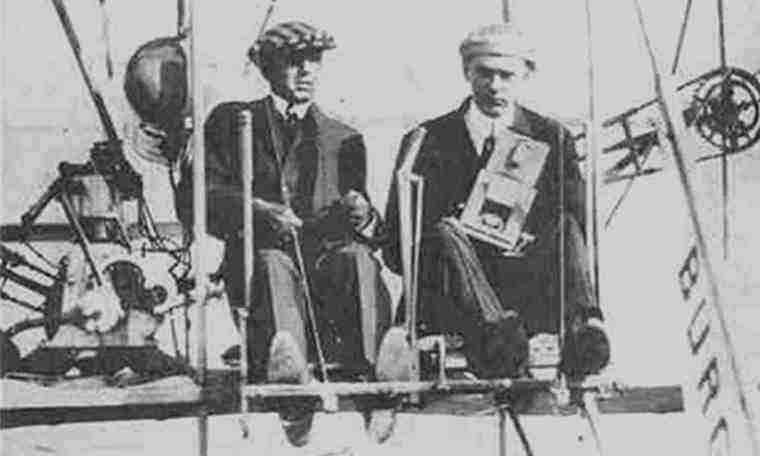 In the winter of 1910 Brookins accompanied Orville to a field near Montgomery, Alabama (now Maxwell Field), where the climate was more conducive to flying than at the Wright's Huffman Prairie, outside of Dayton. He was an apt pupil, soloing after two and a half hours of instruction and becoming an instructor himself when Orville went home. Walter Brookins, surrounded by a maze of flight and engine instruments, at the controls of W. E. Scripps 1912 Burgess-Curtiss flying boat. That summer Brookins took part in exhibitions at Indianapolis and Chicago, making a speciality of high flying; at the former city on 14 June 1910 he set a world altitude mark of 4,380 feet and wins a prize of $5,000 for his feat. Brookins had a few other tricks up his sleeve. On 7 July Wilbur Wright wrote to Charlie Rolls about Brookin's record of a complete circle in 6 2/3 seconds...I do not expect to be beaten soon. It was the most hair lifting performance I have ever seen. The circle was not over a hundred feet in diameter, measured at the middle of the machine, and about eighty-five at the inside edge. The centrifugal force was nearly double the weight of the machine, and the strain of the machine was about two and a half times the normal strain. It was a beautifully executed feat, but the strains were too great to make such things safe for everyday work. Walter R. Brookins and his Wright Flyer at Atlantic City, New Jersey, 9 July 1910. Brookins later set world records for altitude, transcontinental flight and endurance. He died in 1953 in Los Angeles and his ashes were buried at the Valhalla Memorial Park Cemetery in North Hollywood, California.